Puerto Ricans and residents of other Caribbean islands had just started to recover after Hurricane Irma when another massive storm, Hurricane Maria, surged through the area. Puerto Rico, home to about 3.3 million people, could face months without electricity in the wake of the storm's landfall at Category 4, officials say. Major flooding has devastated the U.S. territory, including the capital, San Juan. "The San Juan that we knew yesterday is no longer there," San Juan Mayor Carmen Yulín Cruz told MSNBC. "We're looking at four to six months without electricity." Puerto Rican Governor Ricardo Rosselló urged citizens to maintain order so authorities can do their work. 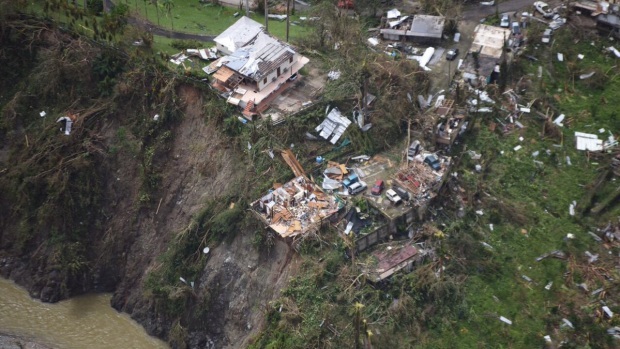 Maria hit two other Caribbean islands especially hard, killing at least seven people on Dominica and one on Guadeloupe. The following organizations are asking for help in their relief efforts for hurricane victims. American Red Cross: The American humanitarian organization is sending supplies and volunteers to help out in Puerto Rico. Apply to be a volunteer here. The Red Cross is also urging people to download its free mobile apps for important information such as first aid tips (for humans and pets), weather alerts and other safety tips. The apps are available in English and Spanish. Catholic Charities USA: The official domestic relief agency of the U.S. Catholic Church, Catholic Charities USA, is asking people to support their Maria relief efforts by donating online, by phone at +1 (800) 919-9338 or by texting CCUSADISASTER to 71777. 100 percent of donated funds go directly toward disaster efforts, according to the website. CONPRmetidos: This Puerto Rican non-profit is raising funds to support hurricane victims. “We anticipate the funds will be used first for immediate needs of food, shelter and water and then transition to long term recovery efforts,” the organization says, having set a fundraising goal of $150,000. Donate here. Dominica American Relief & Development Association, Inc.: This association, which was organized in 1979 as a way for people from the island of Dominica living in the New York area to help their homeland after Hurricane David, has started a GoFundMe page for victims of the hurricane on the island. 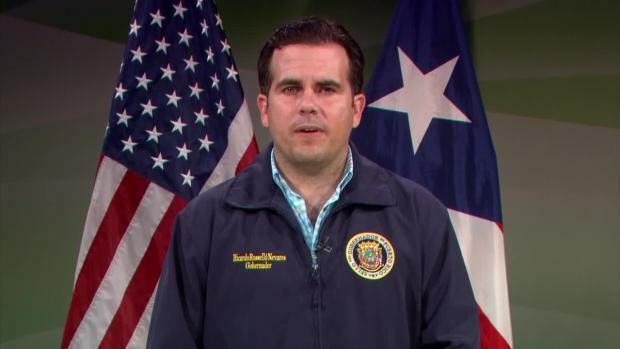 Puerto Rico Governor Ricardo Rosselló addressed the nation Tuesday, Sept. 19, 2017, ahead of Hurricane Maria, which is set to make landfall on Puerto Rico Wednesday morning. "No generation has seen a hurricane like this since San Felipe II in 1928. This is an unprecedented atmospheric system," he said. Global Giving: This crowdfunding network has a fundraising goal of $2 million. “This fund will provide relief to survivors in the form of emergency supplies like food, water, and medicine in addition to longer-term recovery assistance to help residents recover and rebuild,” the group says. Donate here. One America Appeal: Founded by five living former U.S. presidents in the aftermath of Hurricanes Harvey and Irma, the organization announced Sept. 25 it has expanded its fundraising efforts to assist victims of Hurricane Maria in Puerto Rico and the U.S. Virgin Islands. Donors can choose to assist all three recovery efforts or choose to direct their money only to one using the drop-down menu on the website. Donations made to aid victims of Hurricane Maria will benefit the Unidos Por Puerto Rico organization, founded by the island nation's first lady, and the Fund for the Virgin Islands. Save the Children: Another organization dedicated to helping children in particular is asking for donations here. Team Rubicon: Team Rubicon is looking for military veterans and “kickass civilians” such as first responders and medical professionals to join recovery efforts. Volunteers should be prepared to "get dirty, from chainsaw operations to muck-outs," the groups says on its website. Apply to be a volunteer here. United for Puerto Rico: The First Lady of Puerto Rico, Beatriz Rosselló, is asking for donations to her initiative, United for Puerto Rico.